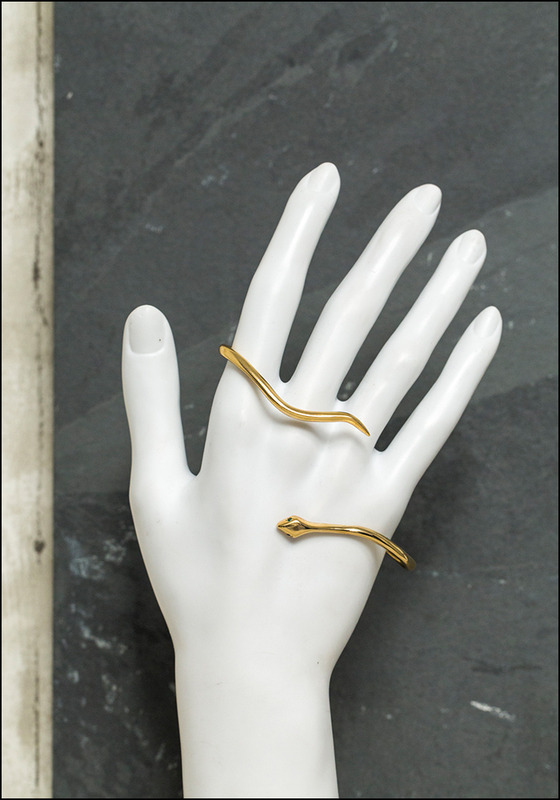 At December Thieves, we're crazy about non-traditional jewelry pieces. 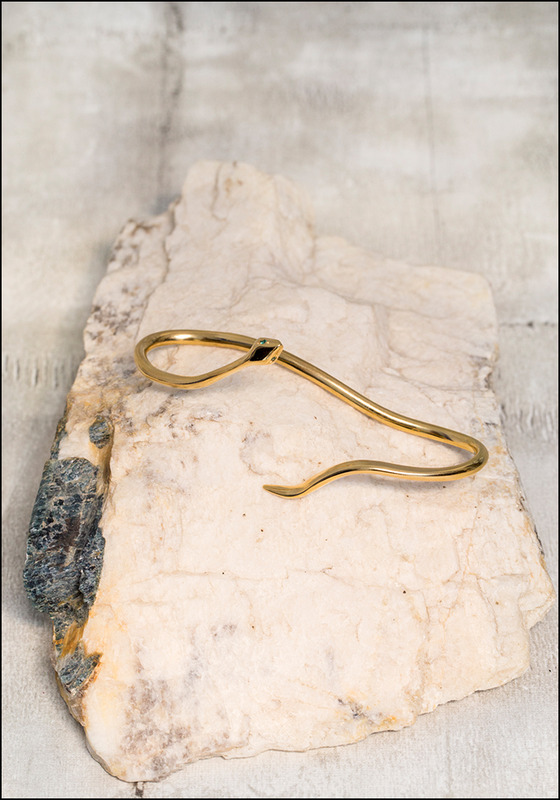 This little gold snake with green gemstone eyes wraps around your hand to create a chic. 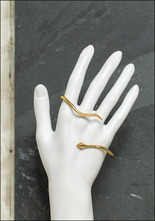 "hand cuff" accessory . 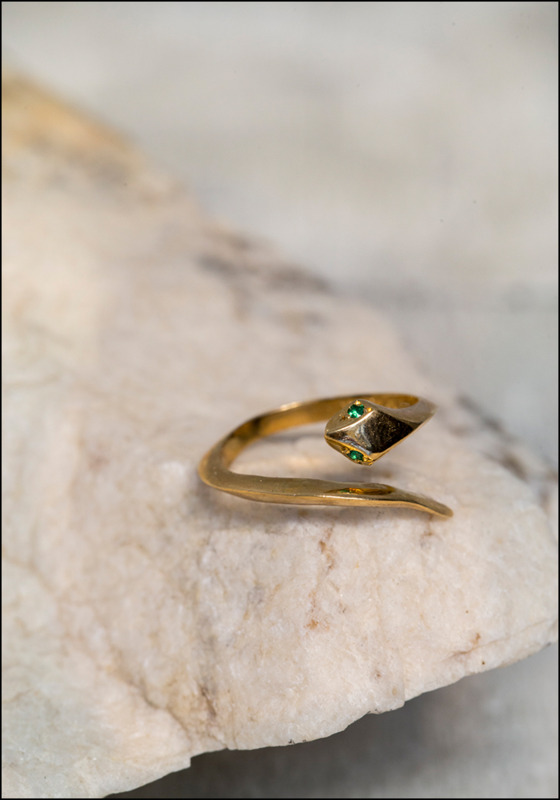 > Sterling silver, 24K gold vermeil, zirconia stone. 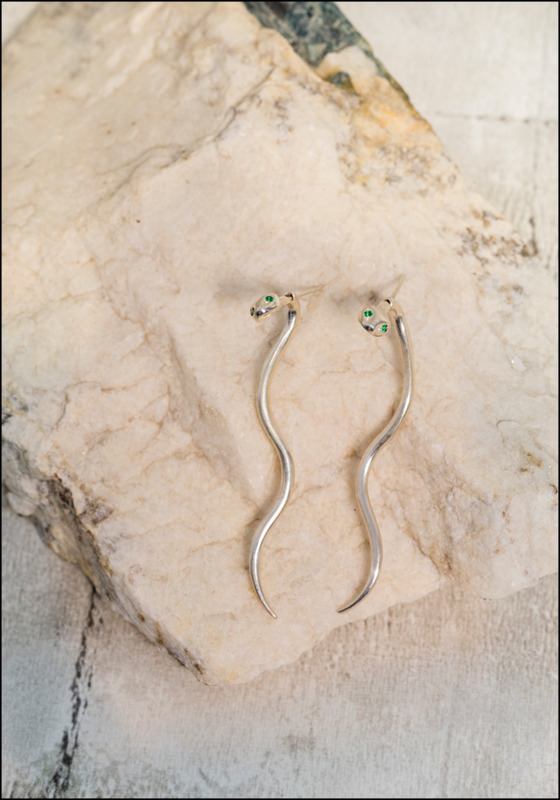 > Width: 3.5". Height: 1.25".